That’s why the new Trimble® Earthworks Grade Control Platform is designed to help operators do more in less time than ever before. Frequencies that used to be allocated to Differential GPS (DGPS) are now being used by services like law enforcement and emergency services. Come and visit us at Site 41 to learn about our Trimble Construction Technology including Trimble Earthworks, Trimble Stratus Drone Technology, Trimble LOADRITE, Trimble Business Centre and much more… plus test drive Trimble Earthwork yourself on our Trimble Earthworks Simulator. 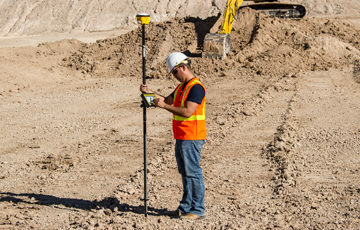 Need construction technology for your next project? 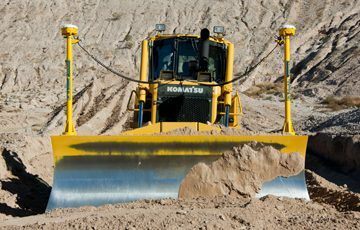 Our experienced team are passionate about the Heavy and Highway Construction Industry and are highly experienced in Trimble Machine Control & Site Positioning Technology. Whatever the machinery, from Heavy Construction Equipment to Earth Moving Equipment, SITECH Solutions has the technology to make significant improvements in Project Workflow. This in turn, dramatically increases your production, improves your accuracy and lowers your operating costs. Contact Us today to hire or buy. 50 hours of machine work. 1100 cubic yards dirt moved. 1 @the_dirt_ninja.